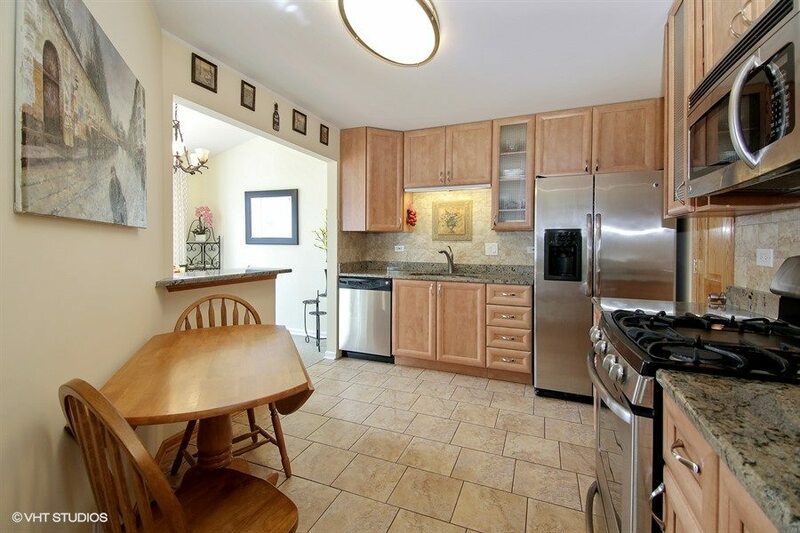 Beautifully updated 2 bedroom / 2 bathroom 2nd floor unit. Everything has been updated, including remodeled kitchen with 42″ maple cabinets, granite countertops & GE stainless steel appliances. 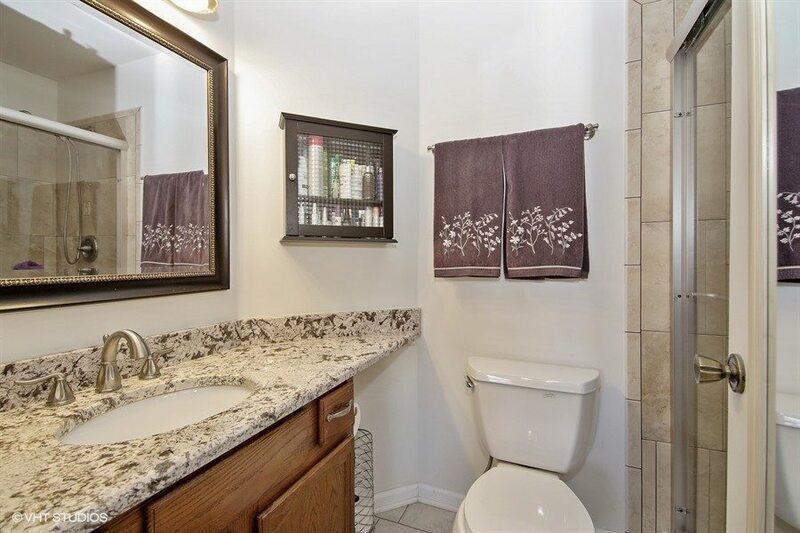 Both bathrooms have been updated with tile and granite countertops. 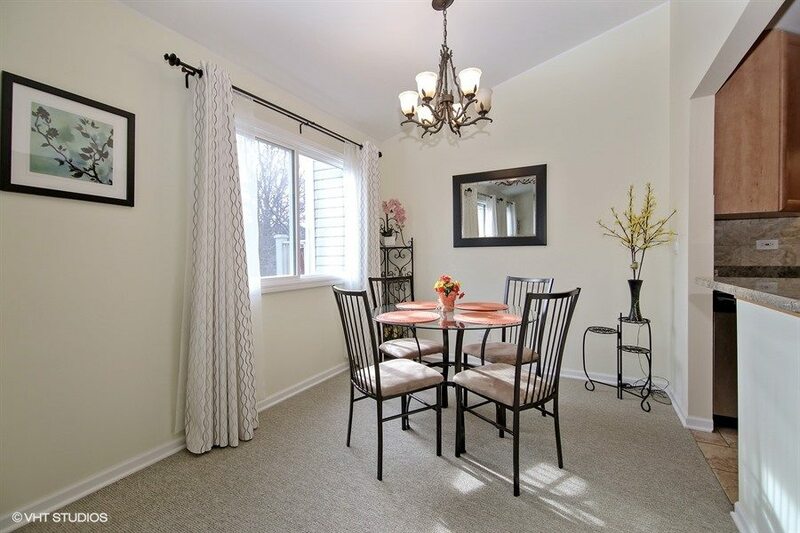 All newer baseboards, recessed lights carpet & paint throughout. Furnace & hot water heater are newer and upgraded electric. Newer garage door. Enjoy all of the amenities that Arlington Club offers, including walking trails, lake, pool & clubhouse. 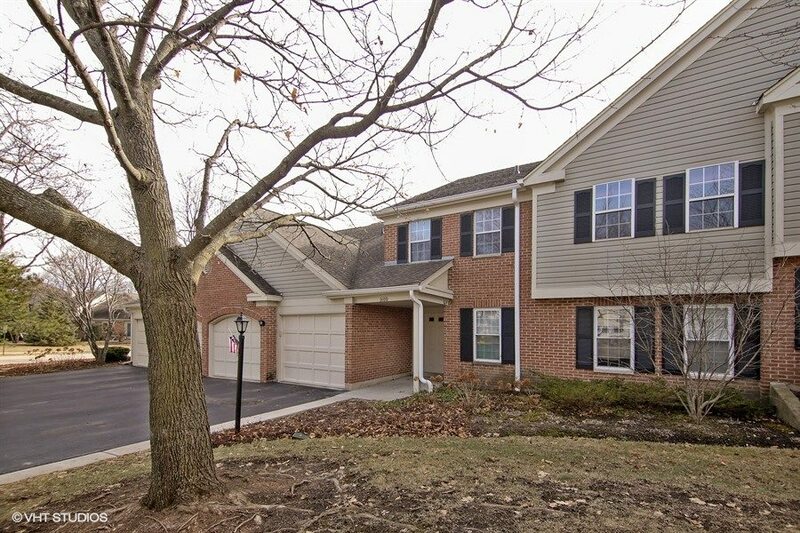 Close to shopping and in Buffalo Grove High School district. This is a must see! Large and bright room with sliding door access to your large balcony overlooking the community. 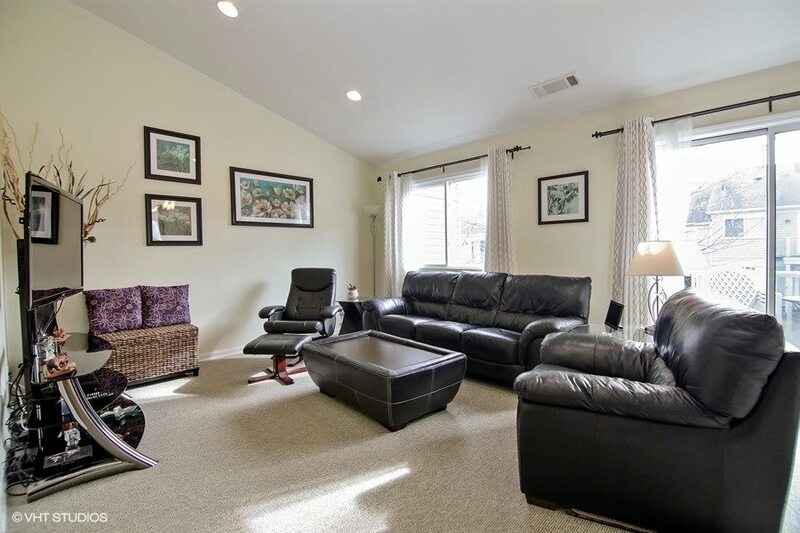 The vaulted ceiling adds to this is a wonderful room for entertaining and relaxing. 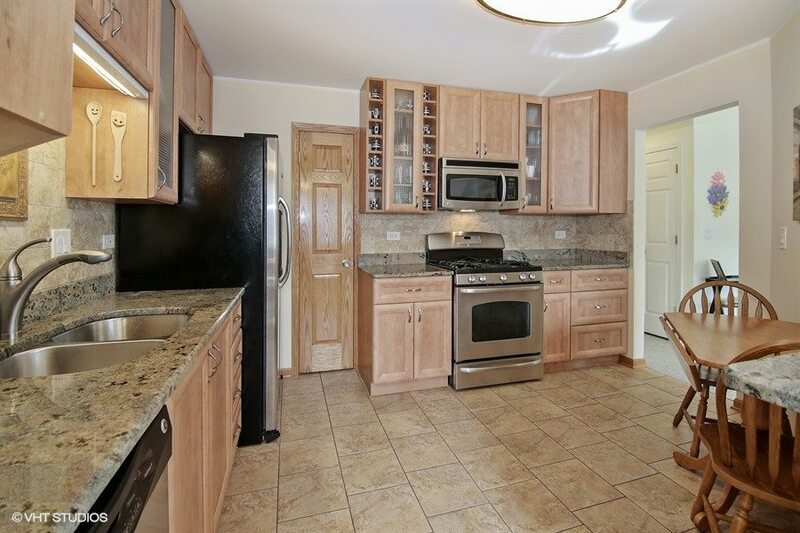 This remodeled kitchen features 42” maple cabinets, ceramic tile floors, granite countertops, tile backsplash, a pantry and all newer stainless steel appliances. 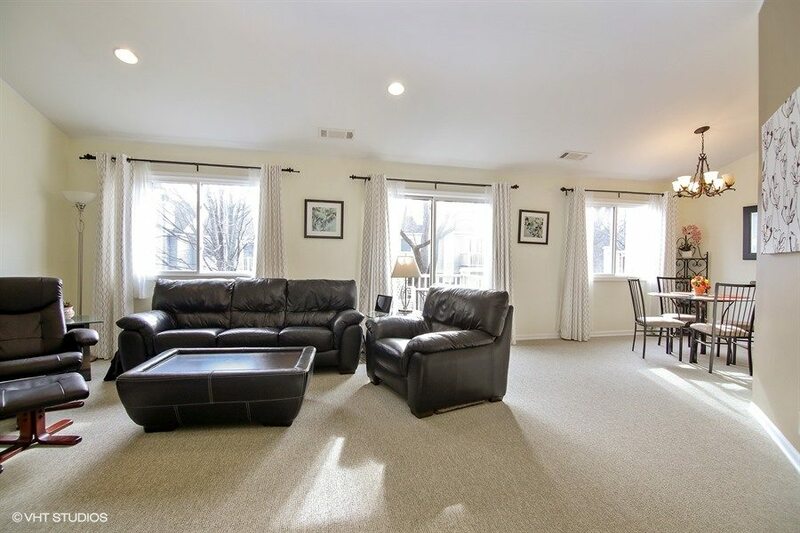 Adjacent to the kitchen, this dining room can accommodate a large gathering, perfect for entertaining. 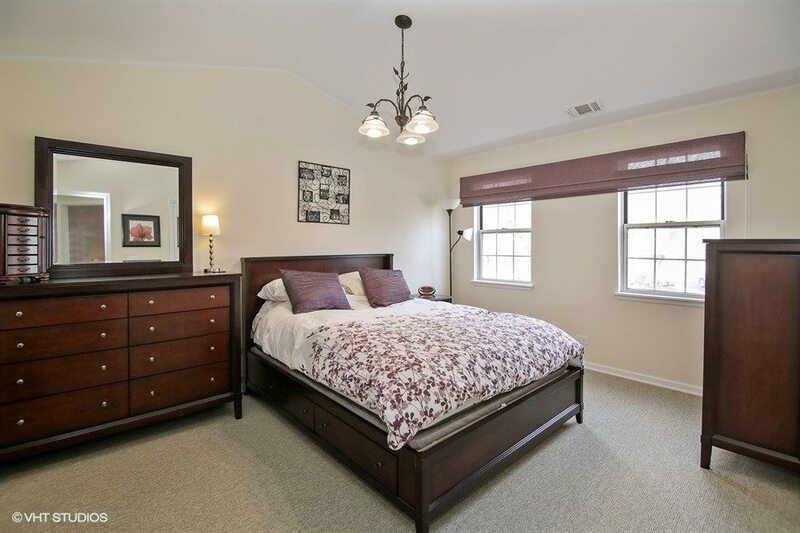 The bright master bedroom features a vaulted ceiling and walk in closet. The master bathroom boasts a granite countertop and beautifully tiled shower. 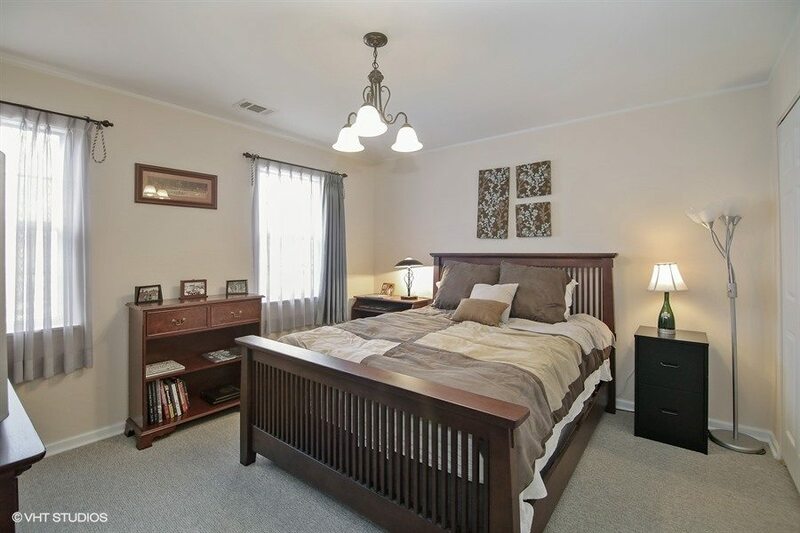 Another good sized room with plenty of light and closet space. 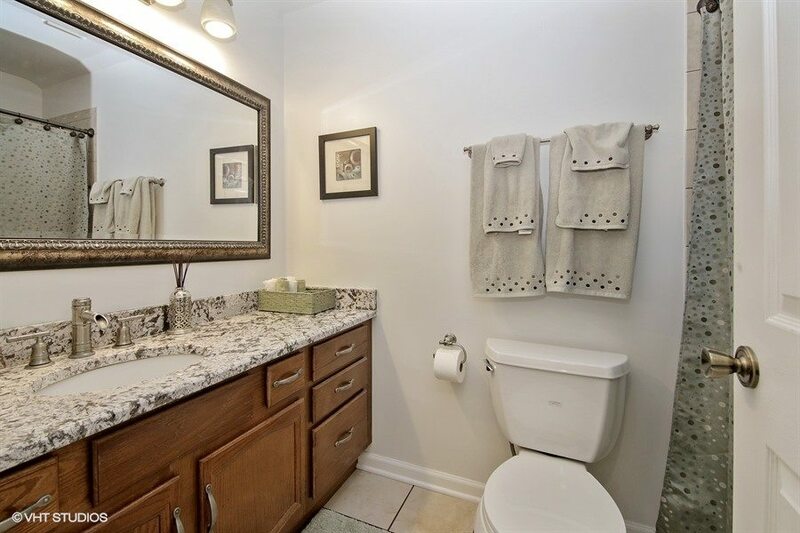 This full bathroom also includes a granite countertop and nice tile in shower/bath area.